The Killarney community is rallying behind a local family after the sudden death of 27-year-old mother of five Bellita Sailor on Friday. MORE than a month after her death, the body of Killarney woman Bellita Sailor remains in a morgue, as her former partner and family wage battle in a bitter family dispute. The young mother, who leaves behind five children under 10, died suddenly on December 18. News of the 27-year-old's death last month sent shockwaves through the Killarney and wider communities, with many rallying around the young family with toys, clothing and even swimming lessons for the children. A gofundme page was also set up, with a reported $7000 being raised. Bellita's sister Flo Sailor said until last week her family was under the assumption Bellita's partner, Jezsryn Masaberg would use those funds to pay for Bellita's funeral. Mr Masaberg yesterday told the Daily News a different version of events, saying he and Bellita were not a couple at the time of her death and had simply been "co-parenting" for the past five years. Flo Sailor said her family was struggling to deal with her sister's death and the added pressures of suddenly being forced to fund the funeral. "It is so hard and stressful knowing my sister has been lying in a morgue for four weeks and four days," she said. "We are just so stressed, it just keeps coming at me - every single day it's something new. "We are trying our hardest getting the ball rolling because we don't want her in there any longer; she needs to be put to rest." Bellita's younger sister said her family learnt last week Mr Masaberg was passing over funeral rights to her mother, Delveen. "This was handed over to us on Thursday," she said. "We are trying our best now but no one has any more money - I know people who have put their last cent into that gofundme account." Since taking over funeral plans, the family has tried many different government avenues to obtain help with funeral costs but has not had any luck. Mr Masaberg has denied any wrongdoing in terms of the money raised through the gofundme page and said there was never any commitment to use it for Bellita's funeral. "It was written all over that page that the money was the financial aid and assistance of her children. It didn't mention anything about being for the funeral," he said. "Every cent is going to my children." Mr Masaberg said all but a few hundred dollars he spent on clothes for his children had been placed in a trust account for them. Despite everything, Mr Masaberg said his children were happy and he was grateful to everyone who had helped the family. "It has helped more than anyone would understand," he said. "Thank you to everyone that has helped because my children have had a life since this has happened. "To pack up and leave with a bag of clothes is hard - we had to leave everything behind. "I know how it looks; ungrateful, greedy and selfish but my kids come first - their needs come before anything else in the world." He confirmed he had moved away from the Killarney area and said doing so was in the best interests of his young children. Bellita's family has started a new fundraising account to try to generate funds for the funeral. 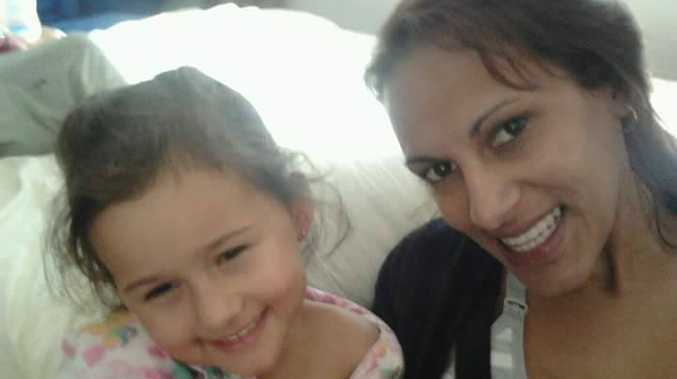 Flo Sailor said the family wanted to get Bellita's body to the Gold Coast so she could be put to rest with her younger brother, Tommy, who died seven years ago. Mr Masaberg yesterday told the Daily News he was waiting on a superannuation release, which he would ensure goes to the Warwick funeral home. He added although he hoped the mother of his children was given a proper farewell soon, neither he nor his children would attend. "We have had our private goodbyes - just like Bellita's family has," he said. An autopsy has been carried out but neither Mr Masaberg nor Flo Sailor know the cause of death.